CSS, which stands for Cascading Style Sheets, is a programming language. It is connected to HTML, and they are sometimes taught together as HTML/CSS. Although this language is connected with HTML, they are separate programming languages. 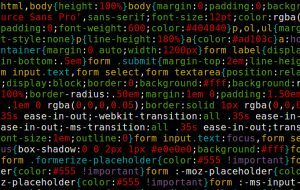 This language just as important as HTML, and it is used for the look of the website. HTML is the language that manages content. CSS manages the presentation of that content. This language saves a lot of time and energy, since it can control multiple page layouts at once. Therefore, graphic design changes can be made easily and quickly. This language was first proposed by Håkon Wium Lie in 1994. It was officially released in 1996. Bert Bos became the co-creator, due to his help with the proposal. The development of HTML and CSS had coincided with one another. 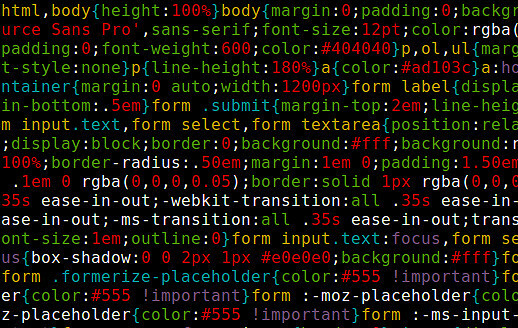 As HTML became more complex, people sought after another code to help style websites. In the beginning, there were many problems for browsers trying to incorporate this new language. It wasn’t until the early 2000’s, when a 2.1 version was developed, that most bugs disappeared. We still use this version of the code today, although CSS 3 and 4 have been created.